Alexis Sanchez edges closer to a Man United exit as he is said to feel isolated in the dressing room. The rift has widen to the extent he only speaks to three of his teammates, according to Mirror. David De Gea, Juan Mata, and Romelu Lukaku are thought to be Sanchez’s only friends he can talk to. The Chilean has reportedly failed to improve his English enough to blend in at Old Trafford. As a result, the 29-year-old forward feels ‘lonely’ and ‘ignored’, the Times claims, and is now thinking to leave the club with PSG being his preferred choice. Sanchez has recently showed glimpses of his talent sealing the dramatic comeback against Newcastle and setting up Anthony Martial for the equaliser against Bournemouth. 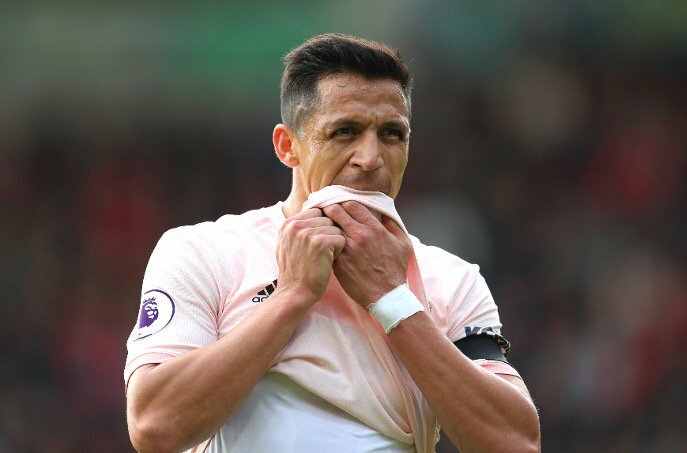 However, Man United would be willing to sanction the deal to offload Sanchez’s whooping £505,000-a-week wages. Jose Mourinho could be in favour of the move as he has reportedly admitted he preferred to sign Inter star Ivan Perisic back in January. Only having missed out on the Croat he turned his attention to Sanchez instead. Ex-Arsenal ace has been faring much below expectations since he forced a move to Old Trafford in January. Sanchez’s form has significantly dropped since his time at Arsenal, for whom he scored 80 goals and assisted 45 in 166 games. For United, he has found the back of the net only three times in 20 Premier League games prompting club’s fans to grow impatient with the forward who will turn 30 in December.